4th = Don Lines – DNW (p1). 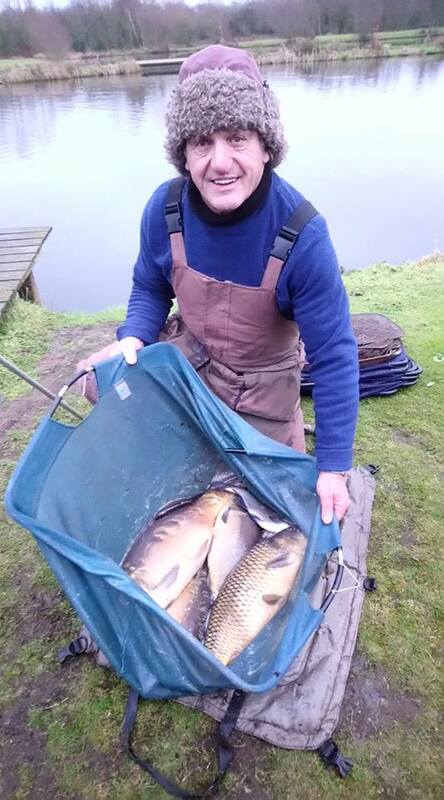 1st – Barry Young – 26lb 3oz (p27). 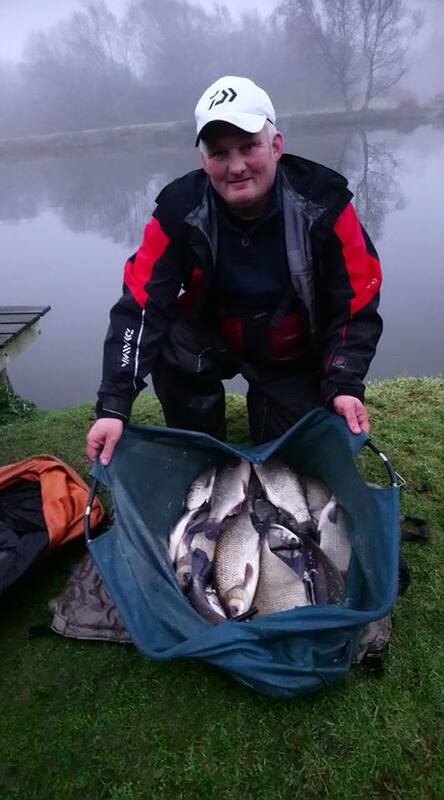 3rd – Steve Royle – 21lb 8oz (p25). 1st – Dave Walker – 24lb 8oz (p20). 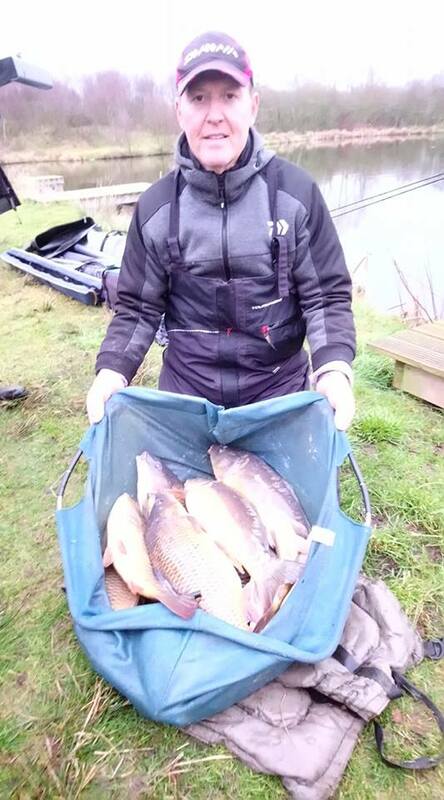 2nd – Nick Aldersey – 24lb (p19). A lovely mild day, flat calm with temps around 7 degrees. There were a few surprises today, with no one expecting to see any big weights or carp after the cold spell throughout the week. But no one was more surprised than David Mcgregor, who pulled out unfancied peg 10 on Bruce’s Acre.. Not only was he up against both culvert pegs in the section… But up against peg 10s recent form.! An astonishing day considering its winter… It’s January… And David opted to fish bomb and pellet on the tip rod… And he certainly got the method correct too. At the weigh-in, David put a superb net of carp on the scales for 79lbs 8oz… A weight you’d expect to win a summer match.! Winning the section and Overall match was never in doubt today… Great effort and well done David.! Queensberry Water saw two very closely contested sections… In section 2 it was a three horse race, in the end, up with Barry Young winning the section and second overall with a mix of roach, skimmers, gudgeon and perch… And two bonus carp… One a nice 7lb common for 26lb 3oz, with Craig Duncan weighing in 22lb 12oz of roach and skimmers, and Steve Royle with a mix of silvers and carp for 21lb 8oz… Those bonus fish making the difference. Queensberry Water section 1 Winner today was Dave Walker who drew peg 20, and he got off to a good start with two big carp (. One about -10lb.) in his first two casts.! Two more followed late in the match with another 3 lost. All on feeder. A mix of small silvers added to the net gave Dave a section winning weight of 24lb 8oz… With Nick Aldersey very close behind with 24lbs… Again all carp. All the ” DNWs” “today caught fish… Mainly skimmers… There were NO BLANKS.!! If they continue to” tip back “… I’ll be hunting out the TIE OF SHAME… It cured it the last time.!! 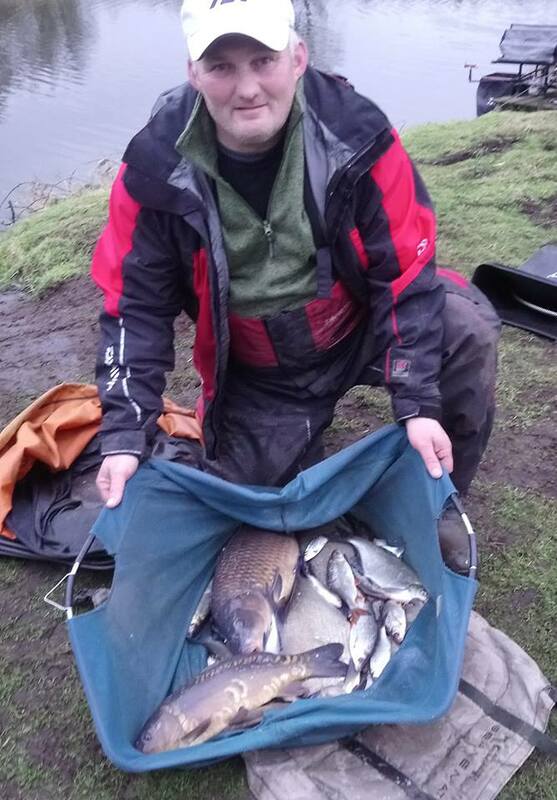 Well done guys… Some great fishing today.